Australian Farr 40 class celebrates two decades. 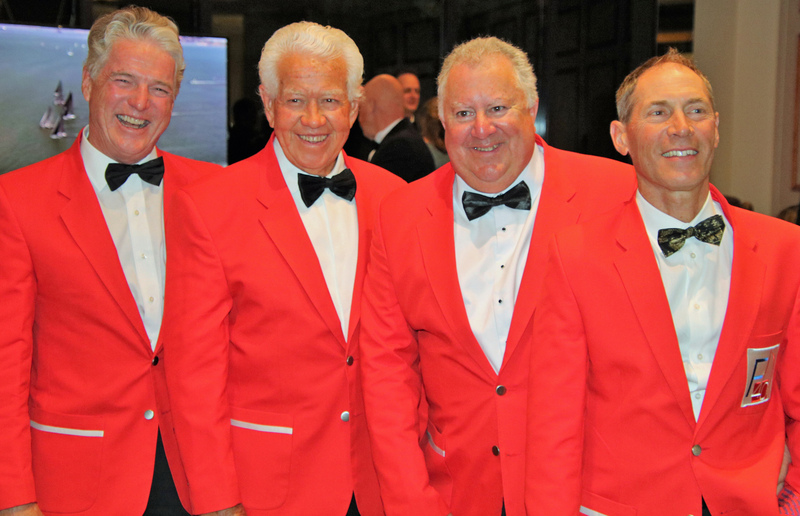 A crowd of 120 spent Saturday evening, 22 September, at the prestigious Royal Sydney Yacht Squadron on the water’s edge at Kirribilli, the traditional home of the Farr 40’s world and national titles, reminiscing, honouring the class’ key influencers and celebrating the significant milestone. Among the formalities, lifetime class membership was awarded to four names, all well-known in sailing and business circles, by Australian Sailing president Matt Allen, himself a former Farr 40 owner. Farr 40 life members Martin Hill, Marcus Blackmore, Richard Perini and Guido Belgiorno-Nettis. 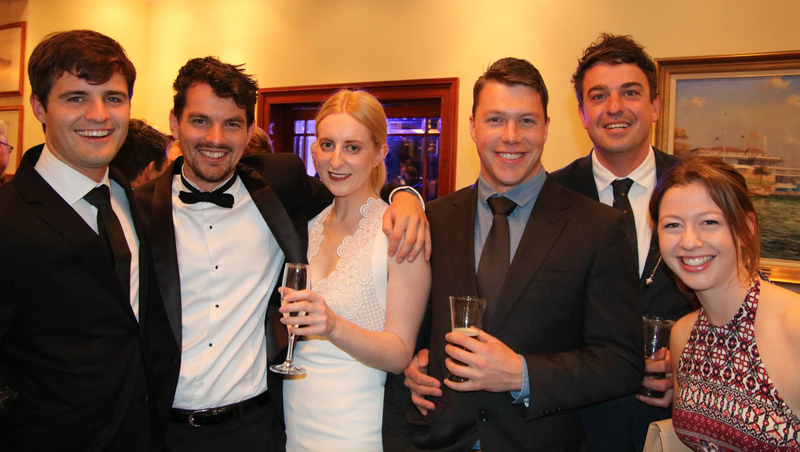 Farr 40s younger generation at the RSYS Ball. Born from the drawing board of Farr Yacht Design, the high performance 40-footer took the benefits of modern materials into an economic platform for short course racing that was demanding, exciting and not beyond the capabilities of Corinthian teams and sailors of all ages. The owner/driver rule influenced the boat’s design and added to its perennial nature and a well organised international class has kept the class active and very relevant 21 years after the first boat was launched at Newport Rhode Island, USA. Farr 40 racing in Australia commenced in 2000 with vitamin baron Marcus Blackmore and the Hooligan crew taking out the first-ever national title. John Calvert-Jones, Perini and Blackmore were top of the leader board for many years until 2007 when Sydney developer Lang Walker won his first national championship. The same year the Australian class was established, John Calvert-Jones proved the southerners’ mettle on the world stage, becoming the first Aussie skipper to win a world championship on foreign waters. In 2013 the annual national series was named in honour of the Australian Farr 40 founding-father, becoming the Farr 40 National Championship: John Calvert-Jones Trophy. From 2009 Guido Belgiorno-Nettis dominated the class, winning six national championships almost back-to-back. Most recently Martin Hill and his HillPDA Racing team set the benchmark. The audience at the RSYS black-tie ball also paid tribute to Forty owner Sam Hill who reinvigorated the Australian fleet in 2013, securing a multi-year deal with major sponsor Aberdeen Asset Management and helping create a multi-state east coast competition that took the fleet south to Hobart and as far north as Queensland, all supported by a professional class administrator and media services, which are ongoing. 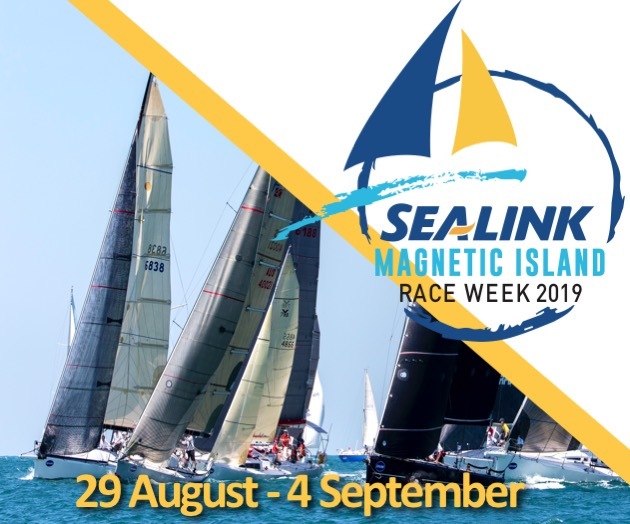 The 2018-19 Australian season runs from September 22 to 23, 2018 to April 2019 and follows the same east coast challenge formula – a combination of pointscore and social regattas stretching between Sydney and Port Stephens culminating in the NSW and Australian titles in March and April next year, respectively.